Please be advised that our area is experiencing an increase in the occurrence of counterfeit currency. Although this currency appears, at first glance, to be authentic, upon closer inspection, it is clearly counterfeit. If you receive counterfeit currency or know an individual attempting to circulate this type of currency, please notify local law enforcement immediately. Attempting to pass counterfeit currency is a felony that carries a sentence punishable by incarceration, pursuant to LA R.S. 14:72.2. For more specific information or additional questions, please contact the Office of the District Attorney 225.683.8563, 225.635.4612, 225.634.2545 or any local law enforcement agency. Saturday, August 26, 2017 8-4:00 p.m.
Sunday, August 27, 2017 9-11:00 a.m. 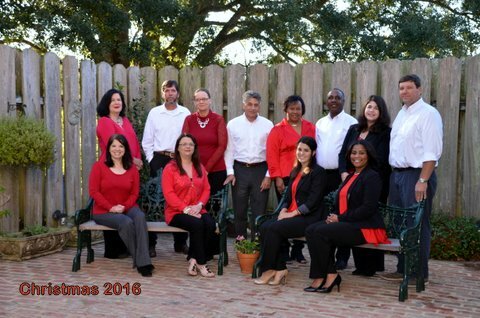 The East Feliciana Council on Aging had a wonderful Christmas Party this year thanks to the generous efforts of District Attorney, Sam D’Aquilla and Sheriff, Jeff Travis and their office staff. Everyone received a Door prize, compliments of D.A. D’Aquilla, Sheriff Travis, Adams Enterprise, Star Supermarket, McDonald Pharmacy, Pat’s Home Center, Head To Toe, Clinton Quick Stop, FS Williams, and Clinton Auto Parts. A wonderful meal was provided to everyone by the Council on Aging Staff. 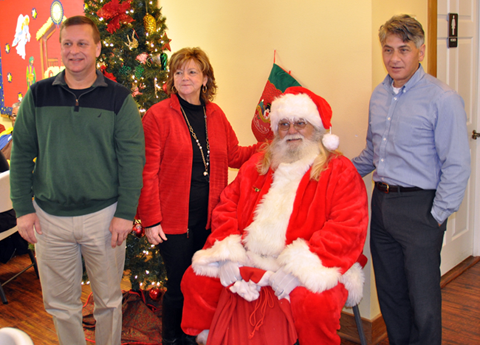 Christmas carols were sung and even Santa Claus took time from his busy schedule to hand out presents and take pictures with everyone. This was one of the best COA Christmas Parties ever. We want to thank the District Attorney, the Sheriff and Santa Claus for taking the time and making the effort to provide our seniors a very enjoyable Christmas party. District Attorney Sam D’Aquilla would like to warn residents of the recent telephone scams. • Initiate contact with you by phone, email, text or social media to ask for your personal or financial information. • Call you and demand immediate payment. The IRS will not call about taxes you owe without first mailing you a bill. • Require that you pay your taxes a certain way. For example, telling you to pay with a prepaid debit card. If you don’t owe taxes or have no reason to think that you do, you should contact IRS.gov. • Ask for a call back number and an employee badge number. • Call the IRS at 800-829-1040. IRS employees can help you. ALWAYS REMEMBER TO NEVER GIVE PERSONAL INFORMATION TO ANYONE. Stay alert to scams that use the IRS as a lure or any other suspicious scams. More information on how to report phishing or phone scams is available on IRS.gov OR contact your local Sheriff’s Office or our office. sdaquilla20thda@bellsouth.net, 225.683.8563, 225.634.2545 or 225.635.4612. The Twentieth Judicial District Attorney, Sam D’Aquilla, sponsored a Hunter Education Class on Saturday, September 17, 2016 and Sunday, September 18, 2016 at the American Legion Hall, Clinton, Louisiana instructed by District Attorney Investigator Shane Bourgeois and assisted by Instructor Billy Burkette, Instructor Andre Brock, Instructor Jody Moreau and Instructor/District Attorney Sam D’Aquilla. Louisiana Revised Statute LAS R.S. 56:699.3 requires mandatory hunter education for anyone born on or after September 1, 1969. 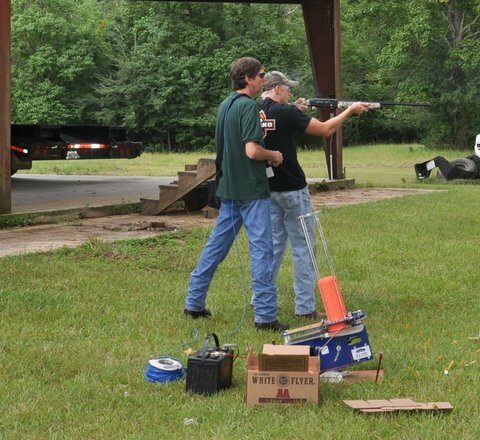 An exception allows those age-class hunters to go afield “under the direct supervision of someone over 18 years old that has a valid hunting license or proof of completion of a hunter education course.” All hunters must successfully complete the course prior to purchasing a hunting license. Hunters who plan to hunt out of state should check the state regulation where they plan to hunt. 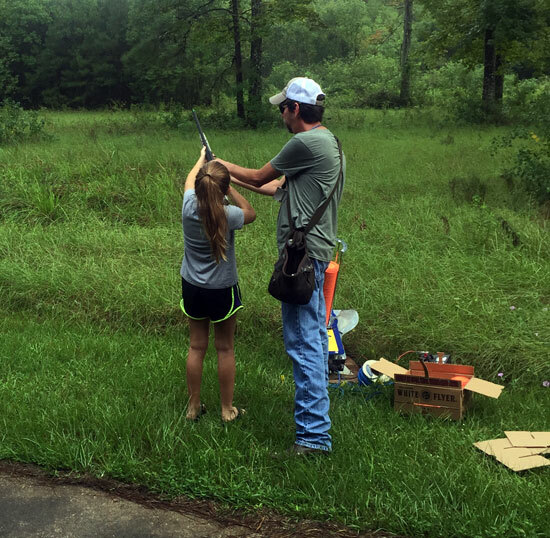 All fifty states now require some form of mandatory hunter education certification prior to issuing a license. The Twentieth Judicial District Attorney Sam D’Aquilla would like to give “Special Thanks” to all who helped to make this event possible especially for use of the American Legion Hall, Crystal Maples, Lisa Morris, Mary Dufour and Marcy Robinson. 55 persons participated and successfully passed the course. Pictured above is Alexa Williams with Instructor Shane Bourgeois. 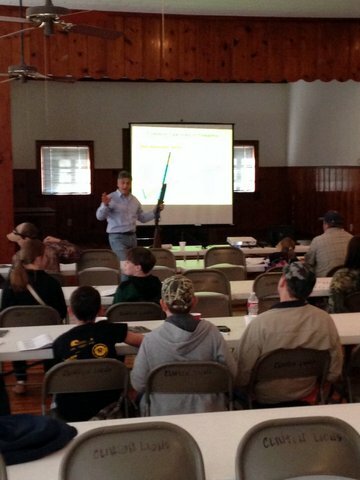 The Twentieth Judicial District Attorney, Sam D’Aquilla, sponsored a Hunter Education Class on Saturday, September 26, 2015 and Sunday, September 27, 2015 at the American Legion Hall, Clinton, Louisiana instructed by District Attorney Investigator Shane Bourgeois and assisted by Instructor Billy Burkette, Wildlife and Fisheries Senior Agent Garrett Kimble, Wildlife and Fisheries Biologist Manager Wayne Higginbotham and Instructor/District Attorney Sam D’Aquilla. The Twentieth Judicial District Attorney Sam D’Aquilla would like to give “Special Thanks” to all who helped to make this event possible especially for use of the American Legion Hall, Crystal Maples, Lisa Morris and Marcy Robinson. 28 persons participated and successfully passed the course. 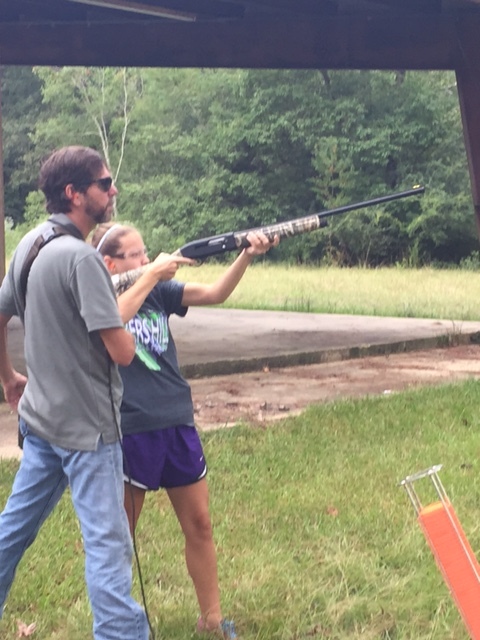 Pictured above is Madison McGehee with Instructor Shane Bourgeois. The Twentieth Judicial District Attorney, Sam D’Aquilla, sponsored a Hunter Education Class on Saturday, September 13, 2014 and Sunday, September 14, 2014 at the American Legion Hall, Clinton, Louisiana instructed by District Attorney Investigator Shane Bourgeois and assisted by Instructor Billy Burkette and District Attorney Sam D’Aquilla. The Twentieth Judicial District Attorney Sam D’Aquilla would like to give “Special Thanks” to all who helped to make this event possible especially for use of the American Legion Hall, Mary Dufour, Crystal Maples, Marcy Robinson, Lisa Morris and Melissa Stagni. 22 persons participated and successfully passed the course. Pictured above is Craig Jones with Instructor Shane Bourgeois. Mrs. Debbie Bennett has been a highly valued, dedicated and hardworking employee, always displaying a smile, helpful hand, and a positive Christian attitude to her co-workers and members of the community. Mrs. Bennett’s excellent work ethic and dedication to the District Attorney’s Office will certainly be missed. With glossy eyes and a cracking voice, Mrs. Bennett said that her parting was “bitter sweet” as she embraces the excitement of the new chapter of her life yet feeling the difficulty and sadness of leaving beloved family and friends as well as her cherished position at the D.A.’s office. During a speech at the luncheon held in her honor, Sam D’Aquilla thanked her for more than a decade of service and dedication and remarked at how much she will be missed by all. 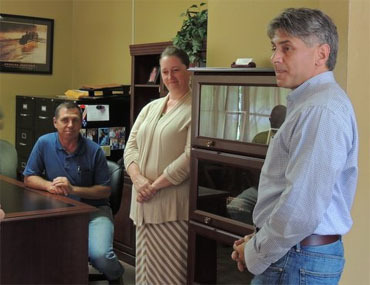 Sam D’Aquilla and his staff would like to thank her for her years of selfless service and wish Mrs. Debbie Bennett and her family the very best as they relocate for a brand new experience. The Twentieth Judicial District Attorney, Sam D’Aquilla, sponsored a Hunter Education Class on Saturday, March 8, 2014 and Sunday, March 9, 2014 at the The American Legion Hall in Clinton, Louisiana instructed by District Attorney Investigator Shane Bourgeois and District Attorney Sam D’Aquilla. The Twentieth Judicial District Attorney Sam D’Aquilla would like to give “Special thanks” to all who helped to make this event possible especially for use of the American Legion Hall, Debbie Bennett, Crystal Maples, Mary Dufour and Marcy Robinson. 22 persons participated and successfully passed the course. Pictured above/below District Attorney, Samuel C. D’Aquilla. Picture, Left to Right: Cade Maples, Cory Lea, Ross Pritchard, Instrutor/Agent Garrett Kimball and Ariel Bourgoyne. 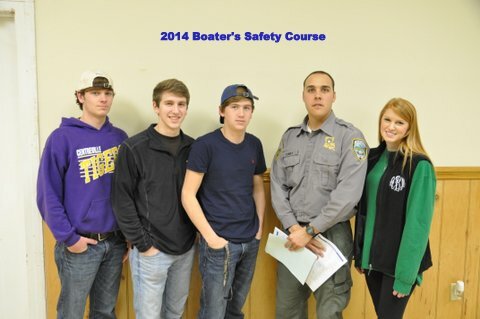 Twentieth Judicial District Attorney, Sam D’Aquilla, sponsored a Boater Safety Class on Saturday, February 15, 2014 at the Jackson Civic Center, Jackson, Louisiana instructed by Wildlife and Fisheries Agent Garrett Kimball and assisted by Shane Bourgeois, Crystal Maples, Debbie Bennett and Marcy Robinson who are members of the District Attorney’s Office. The course includes information on choosing a boat, classification, hulls, motors, legal requirements and equipment requirements, many navigation rules, navigation charts, trailering, sailboats, and related subjects that include canoeing, personal water craft and more. Completion of the course will result in the student being issued a vessel operators certification card. LSA R.S. 34: 851.36 Requires that all persons born on January 1, 1984, must complete a boating education course and carry proof of completion to operate a motorboat in excess of 10 horsepower. The person may operate the boat if accompanied by someone over 18 years of age who if required has completed the course. The Twentieth Judicial District Attorney’s Office would like to give “Special Thanks” to all who helped to make this event possible especially Agent Garrett Kimball, Shane Bourgeois, Crystal Maples, Debbie Bennett, Marcy Robinson and the Jackson Lions Club. Twenty-seven persons participated and successfully passed the course. 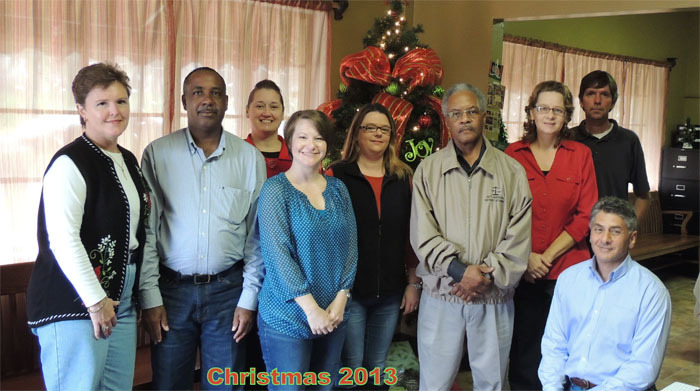 The East Feliciana District Attorney’s office was alive with holiday camaraderie on December 20, 2013 while hosting its fifth annual community Christmas open house brunch. In attendance were seventy-five guests including representatives from the 20th Judicial District Court, local police departments, town halls, Police Jury, School Board, Clerk of Court’s office and other citizens in the community. The District Attorney for the 20th Judicial District, Samuel C. D’Aquilla, would like to thank everyone who attended. 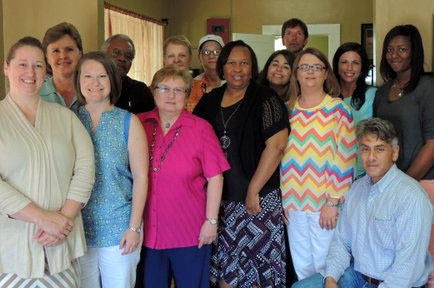 Each year, the District Attorney’s Office and his staff look forward to a time of fellowship with the community in order to strengthen the relationship with other departments, agencies, and local citizens. It is an opportunity for the District Attorney’s Office to provide an inviting atmosphere for both encouraging a continuing positive working relationship and reinforcing its open door policy with each member of the public. Samuel C. D’Aquilla, along with his staff, eagerly anticipate this special event and hope everyone will attend this gathering in the coming year.